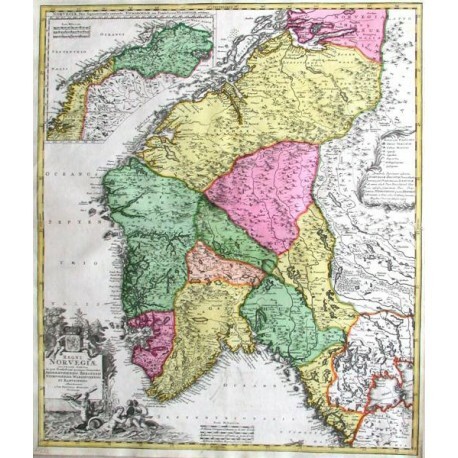 "Regni Norvegiae accurata tabula". Orig. copper-engraving published by J. B. Homann, published ca. 1720. Old colouring. 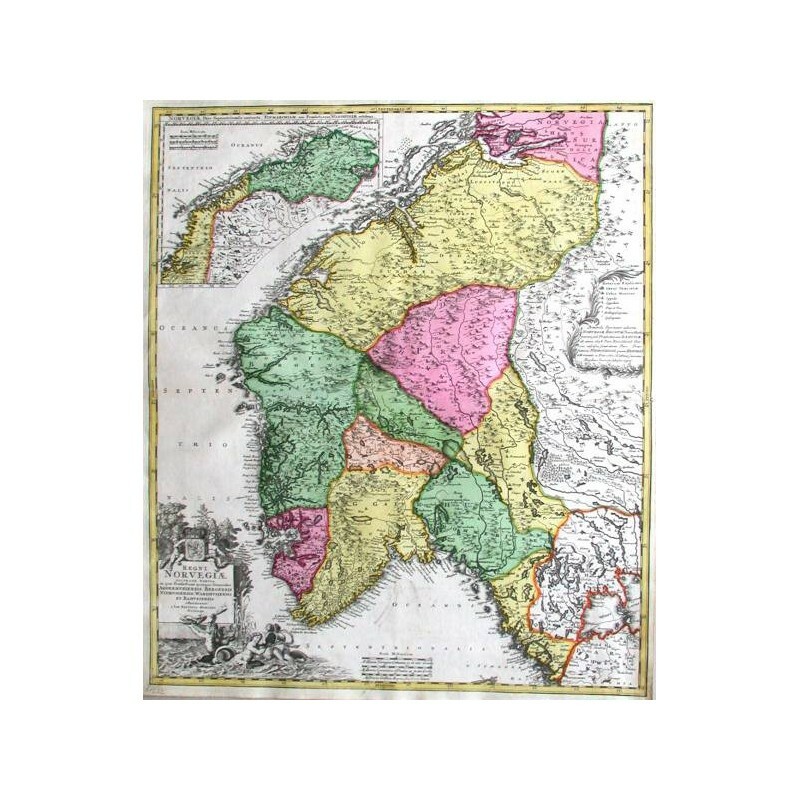 With coloured side-map of northern part of Norway ("Norvegiae pars septentrionalis ...") and two figure and ornamental cartouches. 57,5:49,5 cm (22 3/4 x 19 1/2 inch. ).